Purchase a variety of event registrations and GCOM products. GCOM Supporting and Patron Members receive discounts on many products and events. If you are a Supporting or Patron Member, you must Log in to the GCOM web site to receive these discounts. Please contact the webmaster for login/password assistance. Registering for a GCOM event requires both submitting payment and submitting a Registration form. There are more GCOM logo products at CafePress ...they have other colors of t-shirts, long-sleeved t-shirts, golf shirts, hoodies, sweatshirts, mugs, coasters, tile boxes, mousepads (micepads? ), clocks, BBQ aprons, tote bags, stickers, greeting cards, postcards, and posters (whew)! Sorry, CafePress does not offer member discounts. Purchasing a GCOM membership requires both submitting payment and submitting a Membership form. Purchasing a GCOM membership takes a few days to process before the Web Store will honor your membership discounts. You can sign up for an Associate Membership at no charge by submitting the Membership Form. Our Registration Form is not working. Please send us an email letting us know how much you paid and why. 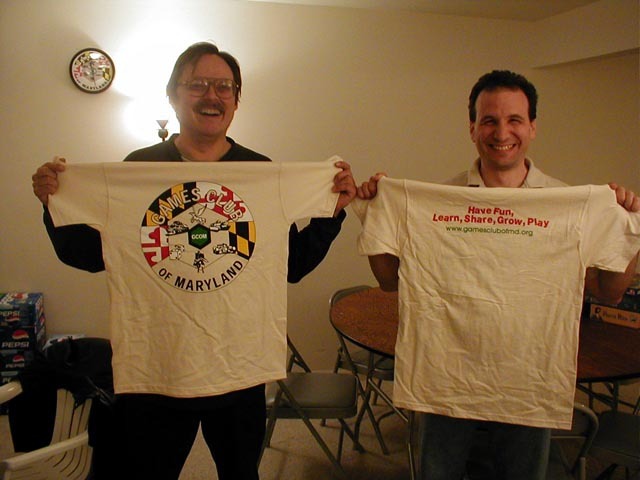 Two-Sided GCOM Logo T-shirts with slogan & website address on back. GCOM Patron and Supporting members get a $2 discount off any size t-shirt. T-Shirts are available at various events, but are no longer for sale on the web site. 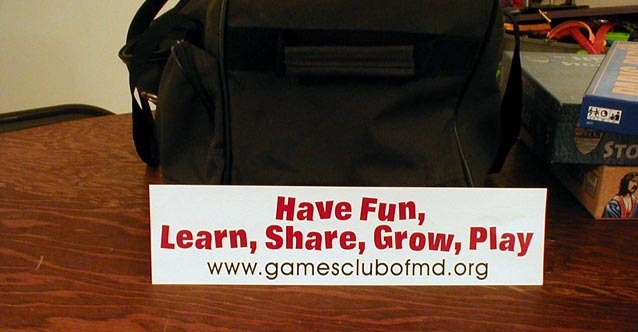 3 3/4 " x 15 "- with slogan & website address as pictured here.